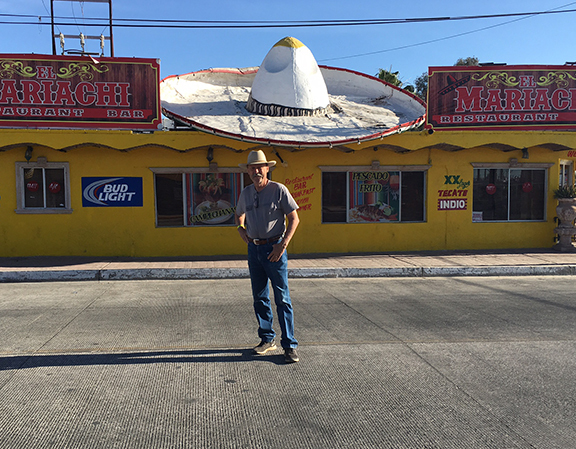 Bob Boze Bell's Big Bad Book of Bad Diary Entries: Hat Rule #28: When there's a hat on the roof, you have to eat there! Hat Rule #28: When there's a hat on the roof, you have to eat there! On a road trip to Mexico. 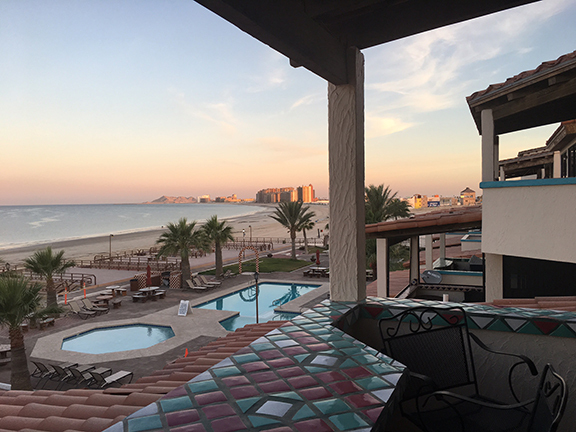 Staying in Rocky Point at Las Gaviotas (The Sea Gulls). No, matter the time of day, I'm always out prowling around for good huevos rancheros. Hat Rule #28: If there's a hat on the roof, you have to eat there. Had the huevos rancheros and a shot of tequila. Okay, actually two shots of tequila. The food was good, but by that point, who cares? 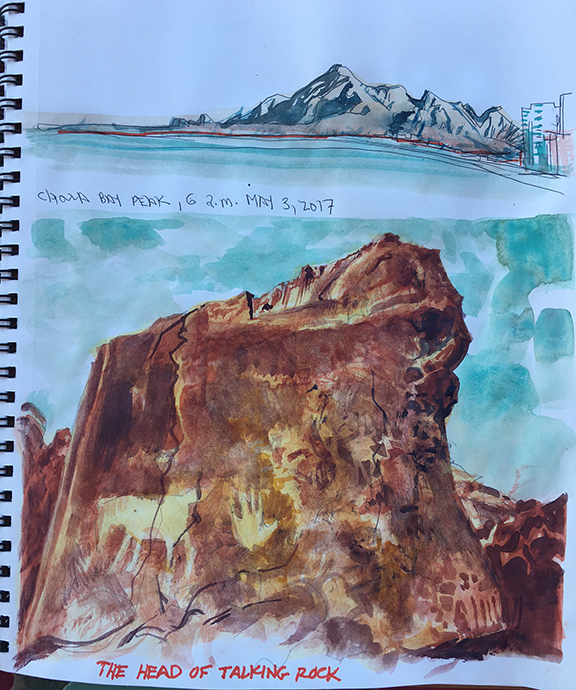 Daily Whip Outs: "Cholla Bay Peak at Sunrise" and "The Head of Talking Rock"
The view from Las Gaviotas out towards Las Palomas (where we stayed last month). "My dad is 80 years old and I've given him a lot of gifts but I can say without hesitation that this is probably his favorite gift ever. I was so afraid that he wouldn't want a magazine especially since he's been blind in one eye for 2 years and reading would be difficult . But he gets excited with every issue. Both he and my mom have told me that he reads it cover to cover. For as long as he is alive I will give him this magazine. He enjoys it so very much. Your magazine allows me to give him something that he truly appreciates. So thank you! I don't think I could ever top this! "